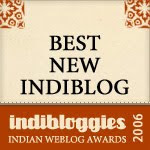 How is it growing up/coming of age, in urban India? Mayil , the 12 year old protagonist of this story, reveals all in a diary/ journal. An aspiring writer, she is a concerned sister who often hates her brother- Thamarai, she adores her grandpa with his quirky wisdom, she loves her mom's egg curry and her ability to solve any issue, she finds her dad not so cool in his sun glasses and loves that he is proud and encouraging of her writing. She has best friends and enemies in school, she has crushes and most of all she has a lot of questions. The book will have you nodding away, laughing and contemplating. Since it is in first person, as it is a journal and like in a real diary, it is spontaneous , sometimes brief and sometimes elaborate and often irregular. Just after a few pages, you can "hear" Mayil and her family and friends, as they go about their life. Mayil is certainly not a Ms Goody two shoes but she is sensitive. She has a lot of opinions ( after all, she will NOT be quiet), she has astute and sometimes harsh observations of those around her- especially adults. She is ready to raise provocative questions on gender roles and mythology and does not like euphemisms for periods. Like anyone's childhood, the book is quirky, charming, peppered with dilemma and drama and bitter sweet moments. Most of all it is compelling and memorable. Mayil will remind adult readers of their childhood. She will be a reassuring comrade to the child reader. The illustrations often morph Mayil's hair and expressions using letters and words. The 'doodles' suit the story extremely well and are witty. Look out for the one of Mayil in a sari, or the "Mayil and Unmayil" pics with and without kajal . Here is a chat with the two young authors, Nivedita and Sowmya, who have been featured earlier at ST.
How did you arrive on this concept? The two of us met in college. In our second year, we had a paper called The History of Ideas. Feminism was part of the paper and we read and discovered several texts that changed the ways in which we thought. But we also felt that a lot of it was heavily theoretical and therefore inaccessible to readers who were not really interested in the subject. Since gender is a construct that begins to evolve and develop since birth, we felt the need to create material that addresses it in a practical, everyday basis and from a child's point of view. The idea for Mayil began as a resource book on gender that could be used in schools and elsewhere to initiate discussions around the subject. However, in the diary format, the book addresses issues beyond gender too. It is a growing-up book that raises several questions, some of them uncomfortable ones! How do you two collaborate and churn out a work together? How does it work? We really didn't think much about collaborating on this when we were actually doing it. It's only now when people wonder about how we managed to do it that we become conscious about the fact. It seemed natural that we write this book this way because our wavelengths are so similar. We also have similar ideas about writing for children, so we just took off without thinking too much about whether it would work or not. We discussed what themes we would address in the book initially (when it was a resource book)- like gender and language, gender and work, gender and representation etc. Then, one person would start writing a chapter and send it to the other whenever she got stuck or felt the other person completing it would make it more interesting. The entire book was done this way. If one of us felt a certain line or incident was not working, we'd discuss it and resolve the issue. Since we had a structure in place, writing the 2nd draft- the diary- was not too difficult. We went back to our memories- the class politics, the crushes, the family fights etc- to make Mayil real and likable. When is the next installment coming? We haven't planned a second installment yet, but many readers seem eager for one, so why not? :) We wanted to keep the book light though it deals with several issues. It makes a fast read and we're happy people want to see more of Mayil! We wanted a name for the girl that was unique and yet not-unheard-of. We were chatting over the phone when the name came up out of the blue. I don't even remember which of us thought of it first (it was four years ago! ), but it seemed perfect for what we had in mind. It's also a very Tamil-sounding name which we liked- not because of jingoistic reasons but because it gives Mayil a personality to grow up into. Most of us have wished we had 'cool' names when growing up but eventually, when we decide that we like ourselves as we are, we do grow into our names. Mayil could be the Indian answer to Wonder years! Do you see any possibility of a TV series here? We're still taking a breather after writing the book and its launch, so I don't think either of us has thought about it. But it would be awesome if someone thinks this would work on film and is interested in producing it :) The responses we've had from children- boys as well as girls- have been really encouraging so far. If we're able to take the book to another medium and make Mayil more accessible, we'd only be more glad. Just as long as the integrity of the character and the theme are not compromised! Tell us more about the microsite. The site is something we're particularly excited about as we're hoping to get children to respond to the issues thrown up the book and make it interactive. We hope to create a space that is fun to visit, but more importantly a safe and comfortable space for children to be engaged and involved. The activities and posts we hope will inspire them to write about their dilemmas, share incidents from their lives and by interacting with a peer community and thinking about each other's responses, feel empowered. We see it also a space to feature their work. If they wish to remain anonymous, that is something we completely respect, so no personal information or detail will be displayed. We look forward to the support of parent communities in encouraging their children to read and write. "Most of us have wished we had 'cool' names when growing up but eventually, when we decide that we like ourselves as we are, we do grow into our names." How true! Hey, Mayil sounds just like the almost-10-yr-old here! i was guessing so and thanks S. means a lot coming from you! Mayil sounds like a very interesting book. Thanks for the detailed interview Art, it gives so much more insight into the book than a review would. Love the character of Mayil...she sounds like Moyna of "The Why Why Girl" - another Tulika book. I love such stories centred on strong bold girls ! @Nanands- Glad you identified with us! @Sathish- Thank you. We hope you enjoy the book! @Ranjani- Thank you. Moyna is one of our favourite characters too!! @Art- Thanks a lot for reviewing the book!! Thanks Sowmya for stopping by. All the best! Keep entertaining us.